You will need the drive and commitment to work with young people aged 12 to 18. 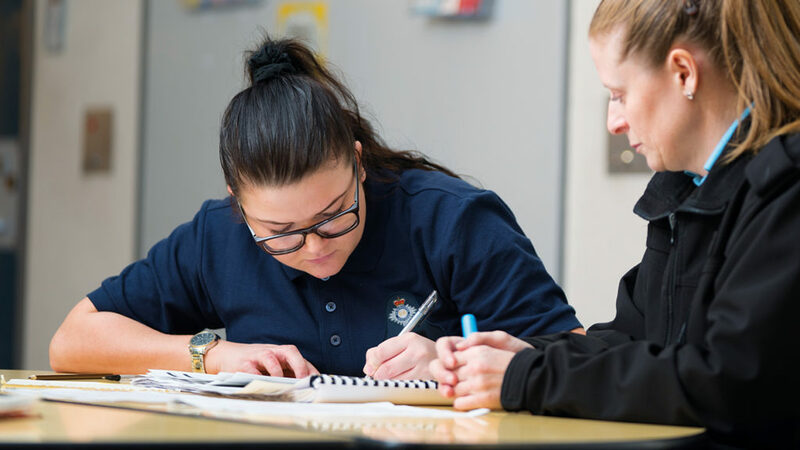 In return, we offer both custodial care and specialist youth justice training, plus the chance for fully funded further studies to develop your career. You will learn the theory of child development to understand young people’s behaviours, and the all too often emotional pain and trauma behind them. You will learn how your approach and personal interactions can make a big difference in young people’s lives. Weeks 1 and 12 are in the workplace getting to know where you will work. Week 2 to 11 are spent on Prison Officer Entry Level Training (POELT) specialising in working with young people in custody. This is likely to take place away from your home unless you have a training centre near you. You will receive full pay and expenses. At the end of the training you will be awarded a NVQ Level 3 qualification. Every new youth justice worker also has an experienced member of staff as a mentor. They are on hand to give support especially during the first weeks of your career. You will study a level 4 youth justice qualification within the first 5 years of your career. You will learn about speech, language and communication needs, and the essential skills for child protection and safeguarding. This is a 13 month training course and you will be given time, support and technology to help you balance your working duties. Once completing this you will have the opportunity to continue studying (fully funded) a fully accredited Youth Justice Foundation Degree.